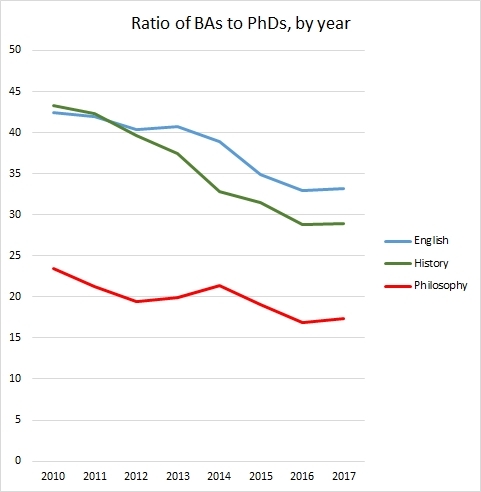 My local impression from my university is that for some unknown reason there was a temporary bubble in philosophy majors, such that by the early twenty-teens the number of majors was at historically high levels. It now looks (locally at least) like the philosophy major population has reset itself to what was more typical historically. (I have no idea about English or History.) Any chance you have data that could fill out this story? Before that, there was a big decline through the 1970s into the 1980s, if I recall, but I don’t have the data handy.